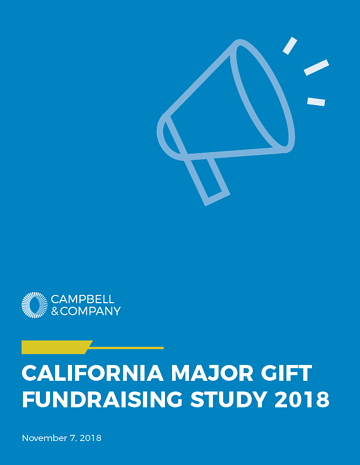 Through this study, we hope to help professionals and organizations in California better understand effective practices for major giving in the state. Major giving is a key part of philanthropy for California nonprofits, especially as the number of high capacity donors countinues to grow throughout the state. Nonprofits need to ensure their fundraising strategies reflect the importance of this donor group. If you have questions about the research or would like to learn more, please contact us at cassie.carter@campbellcompany.com or dan.nevez@campbellcompany.com. Cassie Carter, PhD is a Senior Consultant on the Fundraising team and Dan Nevez is a Senior Consultant on the Executive Search team at Campbell & Company. Both are based in Los Angeles, California.